I study earth-surface processes to answer questions in the fields of geomorphology, sedimentology, and hydrology. My approach combines fieldwork with numerical modeling to investigate processes within modern landscapes and to explore questions surrounding the preservation of ancient environments in sedimentary records. The Texas portion of the Gulf Coast spans nearly 600 kilometers and is chiefly composed of barrier islands and peninsulas that shelter numerous landward communities from damaging storm surge and waves. Presently, this unique coastal barrier system is evolving at an unprecedented rate, as sediment in these protective barriers is being depleted while sea-level rise accelerates. 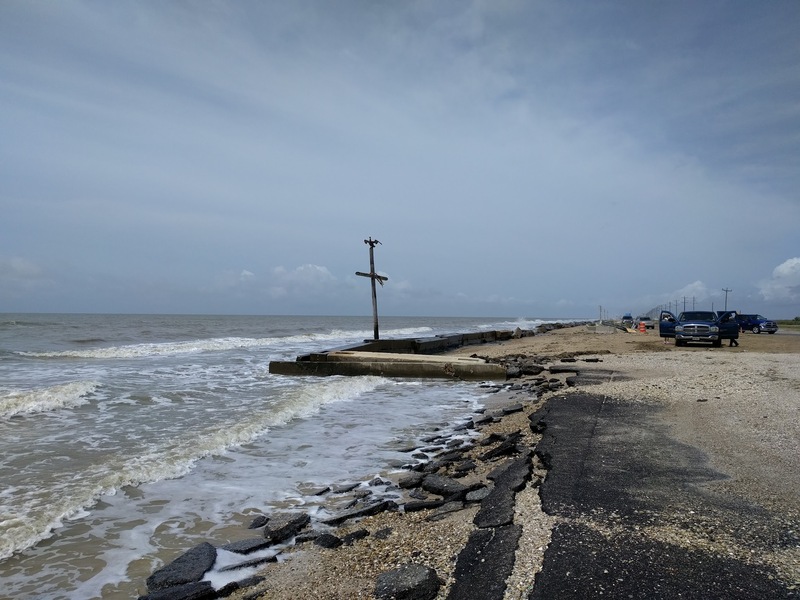 This unfavorable landscape response to climate change reduces the resiliency of numerous landward communities that rely on these coastal barriers for protection. 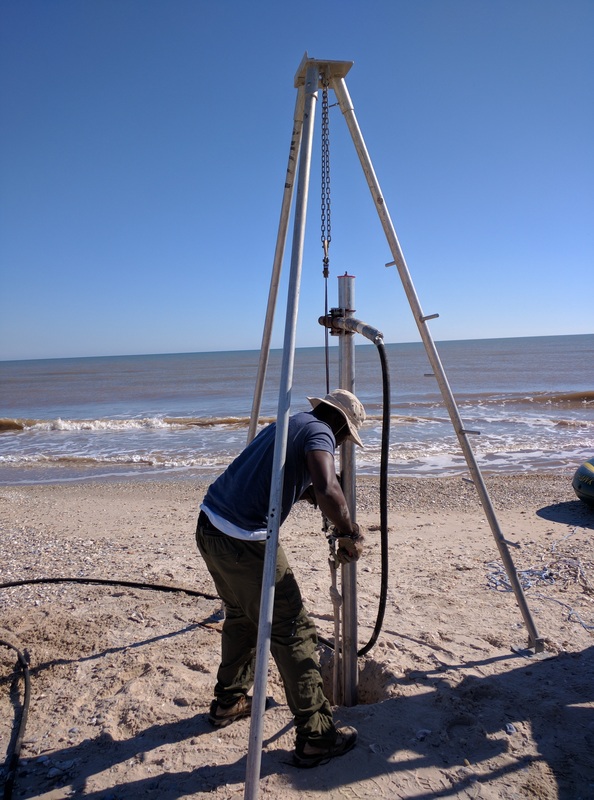 My postdoctoral research seeks to identify and explain the processes modifying Texas’ coastal barriers and predict changes in barrier morphology at time and spatial scales appropriate for community planning and resilience. This work involves the collection of field data in the form of mapped shoreline change, sediment cores, and the determination of sediment ages to obtain rates of geomorphic change, combined with the development and application of large-scale numerical models (See more here) to explore and explain the fate of Texas’ coastal barrier system. Significant erosion of HWY 87 near High Island, TX. Explaining dynamic bedform morphology in the context of physical processes, morphodynamic feedback operating between processes and environmental forcing, represent some of the basic challenges in geomorphology and sedimentology. For example, aeolian dune morphology and migration result from individual wind events that vary in direction, speed, and duration, but long-term dune orientation is unchanging where the overall environmental forcing remains the same. This fundamental dichotomy of aeolian systems is reconciled by way of understanding the scale dependence of dune motion and morphological change over an annual cycle of wind (Animations and information). For the fluvial case, geophysical monitoring reveals that spur-bearing dune morphology is attributable to ephemeral vortices within turbulent wakes that trail from upstream dunes. When present, these vortices rapidly entrain and transfer significant quantities of sediment between dunes, causing rapid changes in dune morphology, that do not reflect mean flow conditions (More information and videos). To explore morphological change over much larger spatial and temporal scales, I developed and applied a numerical model to investigate aeolian dune pattern formation under different sets of allogenic boundary conditions (Watch simulation results here!). Ongoing work extends this model to create volumes of synthetic stratigraphy to explore the co-evolution of dynamic aeolian dune topography and stratigraphy under different sets of allogenic boundary conditions (See the stratigraphic filter in action!). Sun protection is important in a gypsum dune field! Fluid exchange between surface water and groundwater, termed hyporheic exchange, is an important vector for nutrients, dissolved solids, and pathogens. 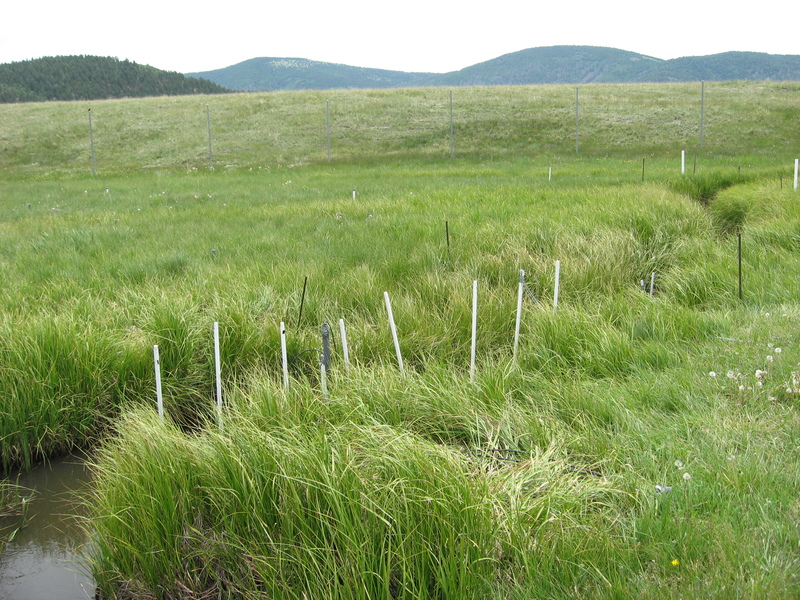 Hyporheic exchange and associated heat transport can be monitored using inexpensive geophysical field methods (Check out more here!). For example, by logging time series of temperature change across the interface between surface water and groundwater, such as streambeds, banks and meander bends, the rate at which fluid moves across the sediment-water interface can be approximated. To facilitate further so called “heat tracing” studies, I authored an easy-to-use computer program to model fluid motion based on steady and transient vertical temperature profiles (More information). In future work, I would like to explore the role of hyporheic exchange in sediment transport and stream bed morphology, and the corollary, how the rates and pathways of hyporheic exchange are modified by hydraulic interactions with a dynamic streambed. 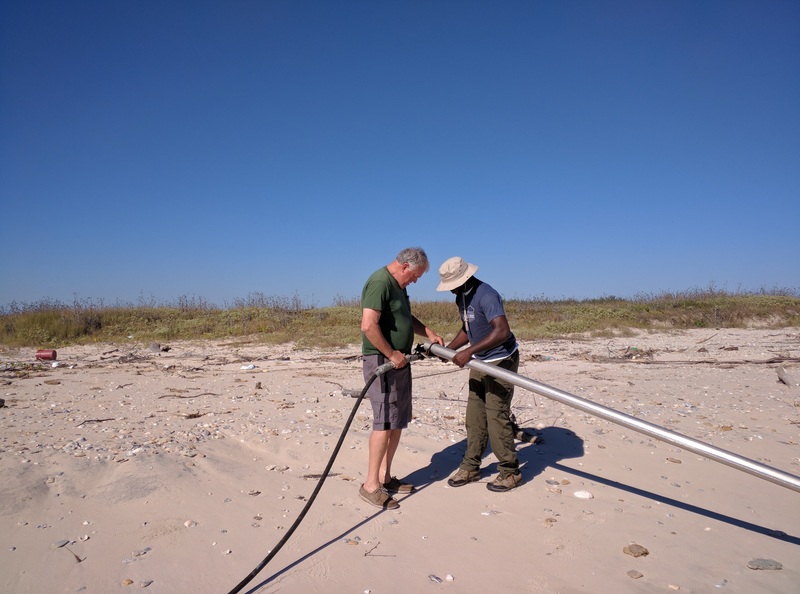 John and myself installing shallow piezometers. Jaramillo Creek, Valles Caldera NP, NM. 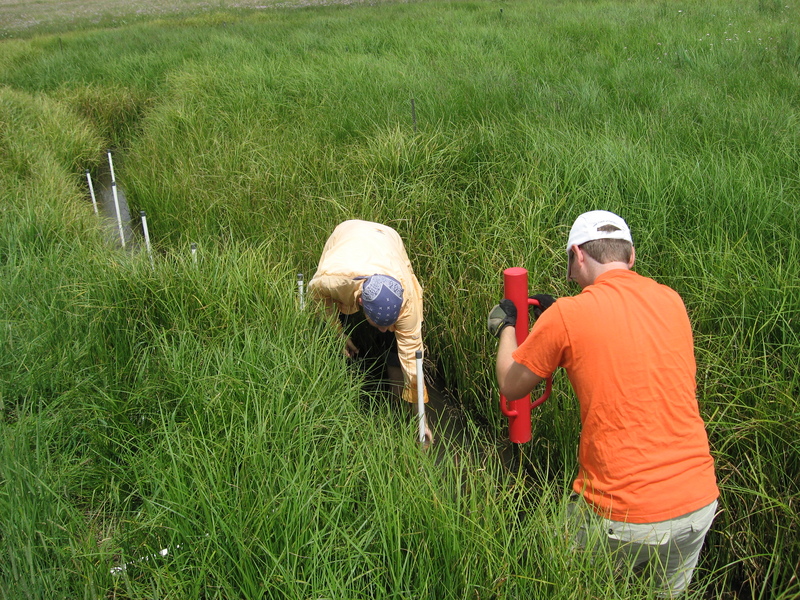 Transect of pizeometers installed in Jaramillo Creek, NP. NM. 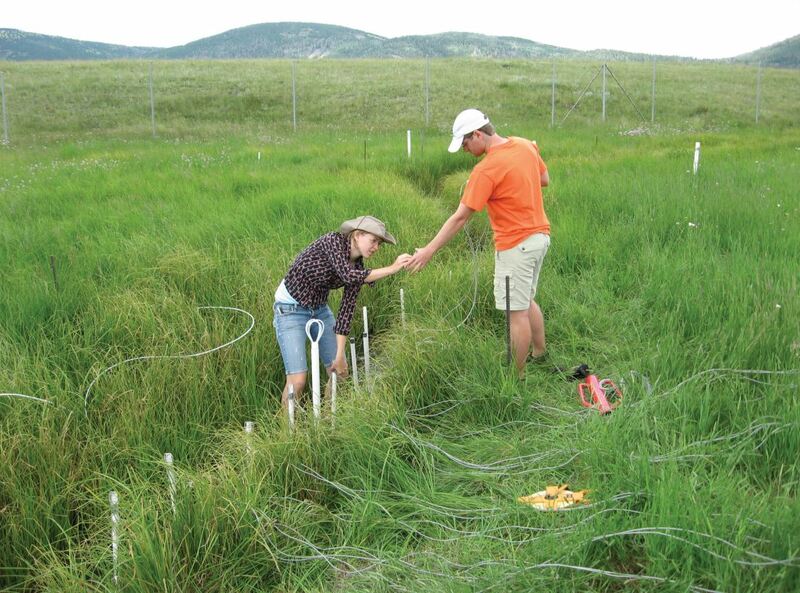 Ann and John installing data-logging thermistors in Jaramillo Creek. 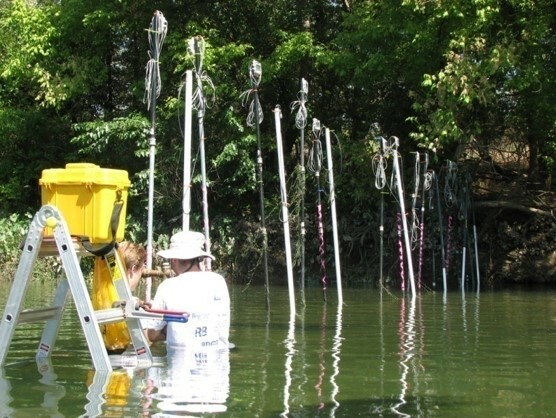 June and myself installing shallow piezometers in the Outdoor Stream Lab at Saint Anthony Falls, Minneapolis, MN. Using both field and numerical studies, I plan to explore cascading spatiotemporal scales of coastal, fluvial, and aeolian landscape response to allogenic boundary conditions to address basic research questions that bridge topics in geomorphology and sedimentology.